Wow. January has absolutely flown by. We’re ready for some warm weather around here. When I change my babies and see their beautiful soft skin, I long for summer and to see their knees and elbows again! S is going to start transitioning up to the pre-toddler room at daycare. This means consistent nap times (9:30am and 2pm, I think) as well as using the sippy cup only. We’re actually ahead of the game there, as I packed up all of the bottles this week. One of my very best high school friends is shopping for bottles and I want desperately to send them to her, but I’m just not there yet. Oh the things I will gift an expecting mom some day! The other change in the new room at daycare is that S will begin sleeping on a cot instead of in a crib. Even if this is successful, I think it will some time before we make this switch at home. I think we moved M to a big girl bed just after she turned 2 years old, but only because we were going to be needing the crib for S. All things with kiddos are bittersweet. I’m happy she’s growing and healthy (and sleeping all night!) but I’m sad to see my baby girl go. 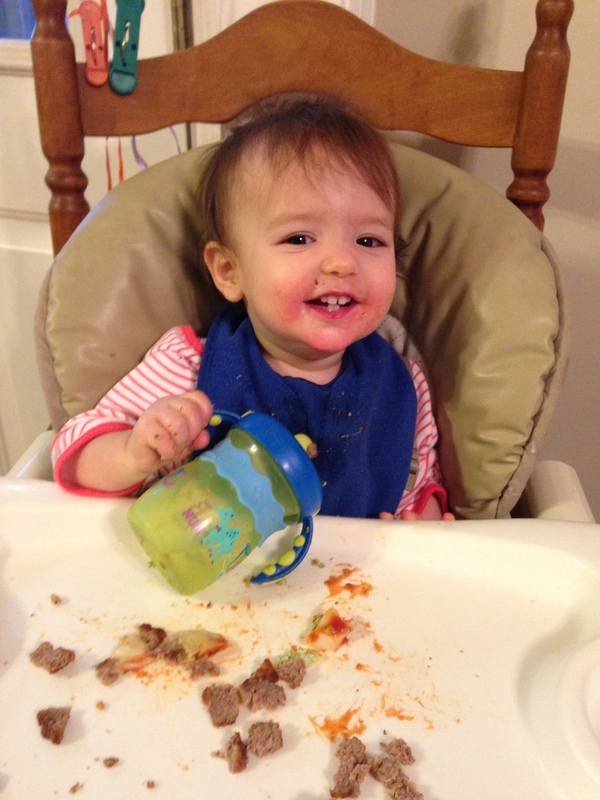 This entry was posted in Babies, Miss S., Toddlers. Bookmark the permalink.